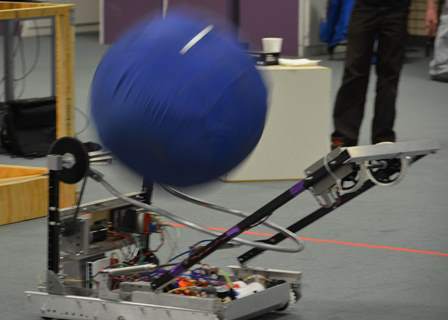 Our team, 2491 No Mythic, is set for the North Star Robotics tournament next week. It’s an event that teaches all the aspects of engineering and entrepreneurship – design, build, teamwork, and budgeting. This year’s competition also brings back an important concept in any business – Coopertition. The teams competing in a match can bump up all their scores at once if they work together. It goes against the sporting aspects of the match in many ways, but it is critical. In business, companies have always worked together for mutual benefit even as they have competed. Cooperation can be a powerful force for change or a descent into stagnation. No matter what, business has never been purely a “survival of the fittest” in ways that define the boundaries of ethics and will almost certainly be more critical in a close-knit global economy increasingly defined by technology. A classic trade convention, where people in the field swap stories (but leave out the good ones). 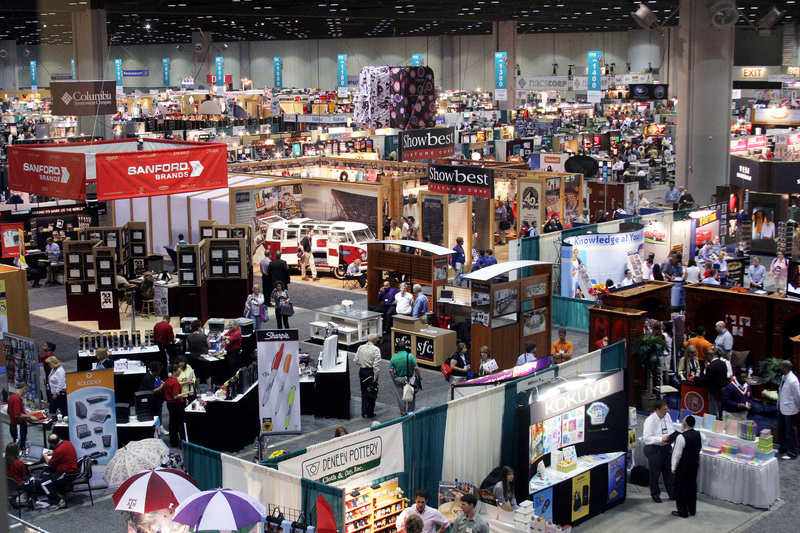 The best examples of cooperation in business come from classic “trade associations” – the groups that put out publications and assemble conventions where everyone in the biz can get together to swap stories. They may even set up standards that insure quality and have an independent laboratory to verify safety – such as Underwriter’s Laboratory, created by insurance companies all eager to prevent fires caused by the growing use of electrical devices over 120 years ago. Sometimes, they go a bit further than that, such as the Western Enegy Alliance that filed suit on behalf of oil drillers to block new regulation. That is a great example of Coopertition because it appears that they are against the disclosure based regulation in part to protect their own trade secrets – working together to preserve their individual advantages. 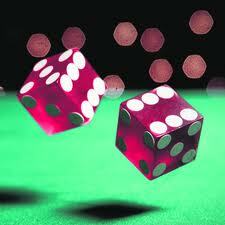 That’s what Coopertition is usually all about – an agreement on the rules of the game where competition will take place. 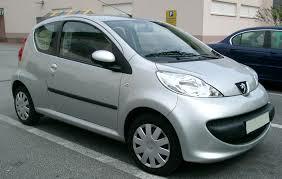 The Peugeot 107 – it’s exactly the same as the Toyota Aygo, and sold in the same markets. Lately, however, computer companies have been forced together to define more than just the standards of their field. Apple relies heavily on Samsung for key components in its iPhones, even after their epic multi-billion dollar patent infringement suit. Car companies often share components, and the Peugeot 107 and Toyota Aygo were designed together by the competitors (though neither is sold in the US). This gets awfully close to the downside of cooperation, which would be called collusion. 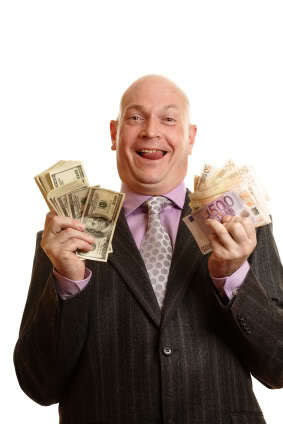 Price fixing is illegal in most nations, so a direct agreement on price is more than unethical. But it may come about when no one happens to lower a price in response to lower costs or a lead is followed when one raises prices, which happens often in the airline industry. What level of cooperation is legal and ethical, and what is not? The lines are being tested all the time by innovation. The best example of crossing the lines comes from the mortgage industry, circa 2006. Headlines were made for the fines imposed on Standard & Poors, the agency that rated far too many bad mortgages as top-notch investments. But beneath the headlines there were many more loans made in a gray area – properly labeled as risky but still gobbled up by investors eager for a piece of the growing mortgage backed securities bonanza. The industry simply changed all at once, operating under the belief that the risk of default was outweighed by the interest rates charged and fees collected. There is always a market for junk bonds – but it waxes and wanes as investors’ appetites for risk change. The financial industry always responds to these new standards, competing to provide new products even as the cooperate to define them. The relative mix of cooperation and competition is a big part of business cycles, I would argue. A perfectly cooperative economy is a tranquil one that never changes and hangs on as long as everyone is happy with their share of the pie. A completely cut-throat competitive environment ultimately puts pressure on labor and the environment, at least until they hit the breaking point and long for a more peaceful and safe existence. New areas of Coopertition are naturally going to rise, much like the strange relationship between Apple and Sumsung, as natural monopolies come about by new technologies (read: skills) created by companies. With the appetite for risk at a low point at the end of this Depression, cooperation is almost certainly going to rise. But what will stop that from going into collusion, price fixing, and fraud? This naturally takes us back to those who will define the next economy, which are the business and engineering leaders of tomorrow. Many of them will be at the robotics league competition this week, and I have the great pleasure of working closely with them to help them define just what Coopertition means to them – at least within the confines of the game we’ll be playing. It’s hard to get past this image when nasty stuff keeps happening. Ultimately, it’s about ethics. There will be new frontiers in ethics defined by the natural cooperation necessary to advance technology and the equally natural competition to define a personal edge. Teaching the basics of Coopertition to this generation is easy enough as they can experience what it means for themselves. But the ethical and legal standards are going to be a lot harder. What, indeed, are we teaching the kids so that they will be ready to create a world that is fair and reflects the importance of hard work with innovation? Along with strategic thinking, this kind of ethics can and should define the world of tomorrow. Making it happen, which is to say reducing it to practice as a technology, will take something else that will have to come at a later date. For now, I would love to have your thoughts on Coopertition. This entry was posted in Money, Nooze, People & Culture and tagged business, competition, cooperation, current events, economy, ethics, journalism, labor, longreads, news. economics, robotics, technology, work. Bookmark the permalink. Hate the word “coopertition” but I like where you are going with this. Always wondered what would tie back to the one on strategy, see you have a lot of posts tied in. Industries do cooperate & that is essential for development & I can see where there will be more in a higher tech world. Where are you going with this next, love the teaser! I don’t usually like words like this, which is a “portmanteau” of two others, but a term is necessary. It’s a state of competition where everyone is mindful of the playing field and rules as much as the game itself, looking for places where everyone can get ahead at the same time. The next piece will be on logistics. I am going to tie a lot of things together with a follow-up after that. Apple and Samsung are in some kind of death grip. They can’t live without each other but they sure can’t live with each other. If that’s the future of tech its going to get crazy. I do not understand their arrangement one bit, to be honest. Samsung should just cut Apple out of the loop and do their own thing. That may get them knocked for monopolistic behavior, but I think they have a good case for not willing to share – especially the stuff that is still covered by patents. Ethics is the key here. People have almost no morals anymore it sees always looking out for themselves. Cooperation as you talk about it here is as bad as competition in business most of the time. What does it take to make companies ethical for a change? Yes, it is about ethics. What I’m getting at here is the framework under which ethics are defined more than the ethics themselves. I think that ethics are going to remain very fluid for a long time, especially as there is a lot more change. The rate of change is probably going to settle down at some point, but probably not soon. Ethics can’t really settle down until that happens, IMHO. But it would be good, yes! I am a big fan of cooperation, or coopertition. I am not sure how much, if any, a winner take all mentality has moved us ahead as a society. It is worth noting that cooperation has always been the modus operandi of academia. That is why our most important innovations have come from scholars. In addition to publishing their work, they are constantly going to conferences and participating in labs, where work is shared openly — even in its formative stages. As an aside, which has nothing to do with what you are doing, where is “robot wars”? I used to love watching it on television. You are right, academia is a really good example of competitive cooperation, but with a heavier emphasis on the latter. Perhaps a more technologically driven business world simply becomes more like academia? It would make sense, given that new knowledge filters through the scene in a certain way in both cases. All the factions within Christianity have been sort of competing and cooperating and jostling with each other for attention since year 30. Happy Resurrection Day next Sunday. I don’t know just where socialism figures into this, although it does seem to be obsessed with things like “leveling the playing field” and so on. But yes, “coopertition” does seem like a socialist concept if you have to boil it down really hard. I meant that socialism it was NOT! None of it is acceptable socialism. I would argue that when it’s all running properly there should be no interest in “socialism”. I think of your the philosophy of Hareism as being communistic capitalism. Like when it is labor day you seem to love Karl Marx. Then you go back to discussing markets, currency wars, debt, and make it appear no one can ever be to the left of you. Like you toy with liking Occupy wall street, but you are too much of a suburbanite in spirit (that goldwater boy in you) ever to want that much change. Like being against free trade and the assumption that it is bad when creditors get a big haircut. But then you are a fervent Obama-ist—look back on spirited defense of Obama in the fall of 2012. Then when the election is over you say we need to be concerned about national debt, budget deficit and oh, yeah inequality is the major issue. I don’t think anyone needs to be consistent or needs an overarching philosophy. Being a columnist or essaying involves being a provocateur to some extent. (Remember in high school when we learned about a “modest proposal” by jonathan swift) We just need to think a bit about issues, so Barataria succeeds on its own terms. After all you are not both the New York times and Paul Krugman and secretary of state and neither am i. Seriously, I’m a mainstream liberal Democrat circa 1950 in many ways. I do believe in the power of the free market, but honestly think that “free market” is an ideal that has to be worked towards, not a naturally occurring phenomenon. And I do support a safety net for the vulnerable within that framework. This piece is on a trend that I see developing and becoming more important. My opinion about it is not important – just like my opinion on more automation or more workers on temporary contracts. What matters to me is that as this free market changes we should respond appropriately to make sure that things don’t get more out of whack. For example, what does “price fixing” mean when everyone buys components from the same place? When is there an valuable trade association and when is there a collusive trust? These lines are going to blur. But I think we can see a trend here that is likely to continue for some very important reasons. And if we want to have the freest possible market (again, something I think has to be created by tradition, agreement, and law) then how should we respond? As for things like budget debt, etc – you should read between the lines a bit. What I’m worried about are the demographics when the Baby Boomers retire. Where I expect strong economic growth, it may not be enough to keep up with Medicare, etc. A structurally out of balance budget now is a train wreck in 2024 or so. Thanks for following my blog! I found this post really interesting.